In September we'll be treated to the release of Finding Nemo in 3D and shortly thereafter, on December 19, 2012, we'll also be able to see Monsters, Inc. in 3D as well. 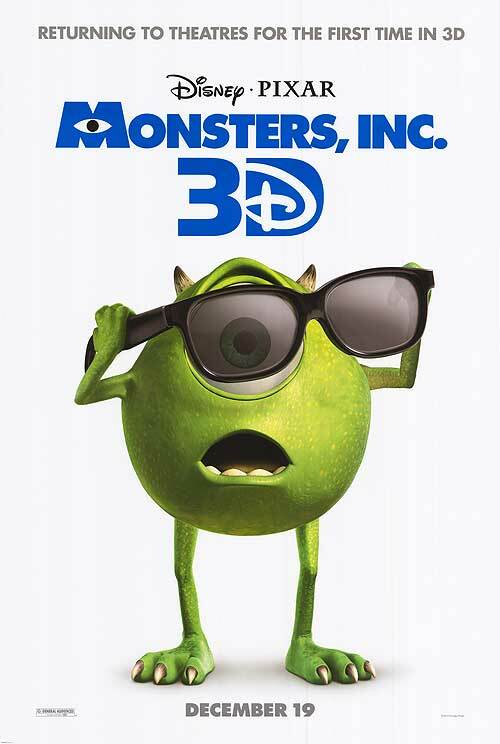 In a humorous and unfair twist (since he couldn't view 3D with one eye), Mike Wazowski is the poster-boy for the re-release. We saw this post on Upcoming Pixar's page. 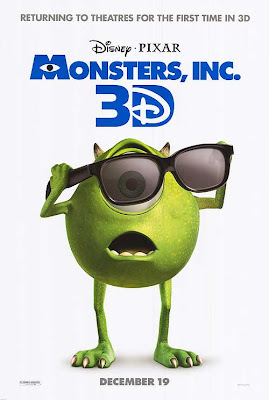 Related Posts: Monsters Inc 3D theatrical release date moved up.